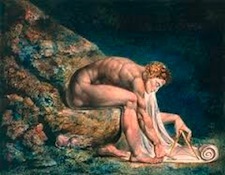 Centuries ago, the Guild System served a triple purpose in the transmission, generation, and practice of knowledge: Originated back in days when literacy was so scarce that just the ability to prove that you could read was enough (by "benefit of clergy") to get you off for committing some crimes, guilds were, first, a way to pass practical knowledge along from generation to generation by telling about it, demonstrating it, and, under the direction of a "master", actually practicing it, as an apprentice, then a journeyman, and finally as a master in one's own right, instead of by the book-learning we're more accustomed to today. Guilds were also centers for the creation of knowledge, in that the Masters of whatever craft or trade would add to the knowledge of their guild and - just exactly as adding to one's field of knowledge is required today for the award of a "doctor's" degree ("doctor" being derived from a Latin word meaning "to teach") - a journeyman of whatever guild might be required to add (as his "master-piece") something to the knowledge of his guild in order to be recognized as a Master, himself. Guilds also, operating under "letters of patent" granted by a monarch or some other authority, controlled the flow and limited the practice and knowledge of their craft or trade to their members and held, as exclusive to themselves and their members, the tools of their trade and its necessary supplies and materials. Does any of that sound familiar to you? Sort of like our modern system of patents, trademarks and copyrights? Of course it does, it's where all those things came from. There are differences, though: Initially, just as a Journeyman's "masterpiece" had to actually work and have demonstrable value in order to be accepted, the United States Patent Office (and similar offices in other countries) required that a working model be submitted with each patent application, and unless that model performed to the satisfaction of the assigned Patent Examiner, no patent would be issued. All of that changed in the United States more than a century ago when, in 1880, the United States Patent and Trademark Office (USPTO) dropped the requirement for a working model. Nowadays, all that's necessary for the issuance of a US patent is that the invention to be patented is new, useful, and non-obvious. That it actually works is no longer a requirement, although one would certainly imagine that having the examiner BELIEVE that it might work (or at least NOT believe that it CAN'T) could be of some help. So what does this all mean to us as audiophiles? Or even as consumers, in general? Easy; it means that, once again, we're on our own when it comes to determining whether an offered, product, process, or "tweak" is worth buying or is of any real value at all. Simply the fact that something claims to be - and IS - patented is no guarantee whatsoever that it works as claimed. 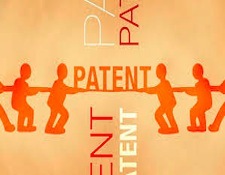 We know that because WE KNOW THAT THE PATENT OFFICE NEVER TRIED OR TESTED IT BEFORE ISSUING ITS PATENT.